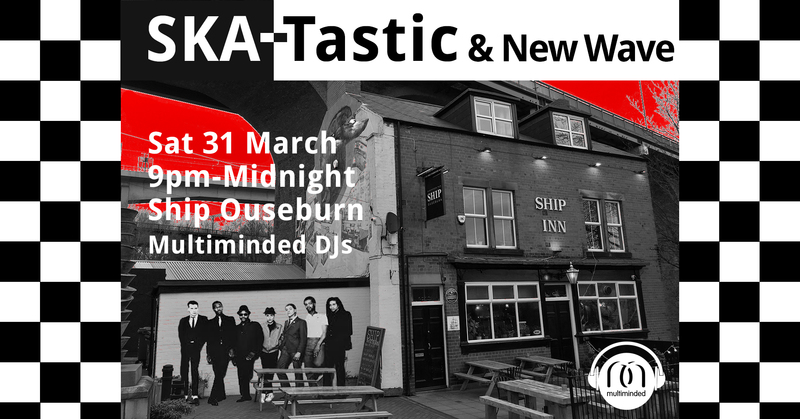 A gigantic Easter egg of a night filled with the best of New Wave & SKA tunes including: The Specials, The Jam, Madness, The Beat, Squeeze, Psychedelic Furs, Elvis Costello, Teardrop Explodes, The Selector, Joy Division, Echo & The Bunnymen, New Order, Joe Jackson, Bad Manners, Fun Boy Three, Althea and Donna, The Fall, Public Image, Talking Heads, Department S, Ian Dury & The Blockheads, Blondie, Talking Heads, The Cure, Lloyd Cole & The Commotions & many, many more. We’ve just announced this event but please feel free to start adding yourselves, sharing, inviting friends. You’ll find the links to all of these events on our Multiminded Music page. Why not like the page to keep in the loop about future events?